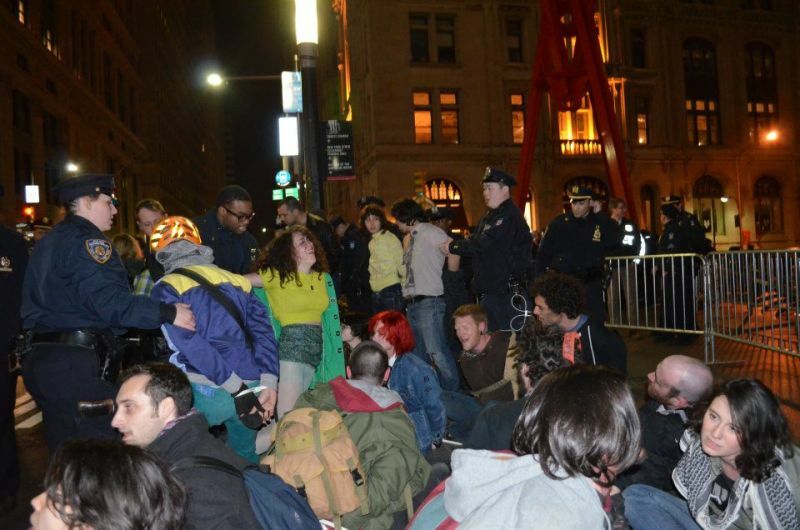 Yesterday, an Occupy Wall Street protester named Cecily McMillan was convicted by a New York state court of assault on a police officer. 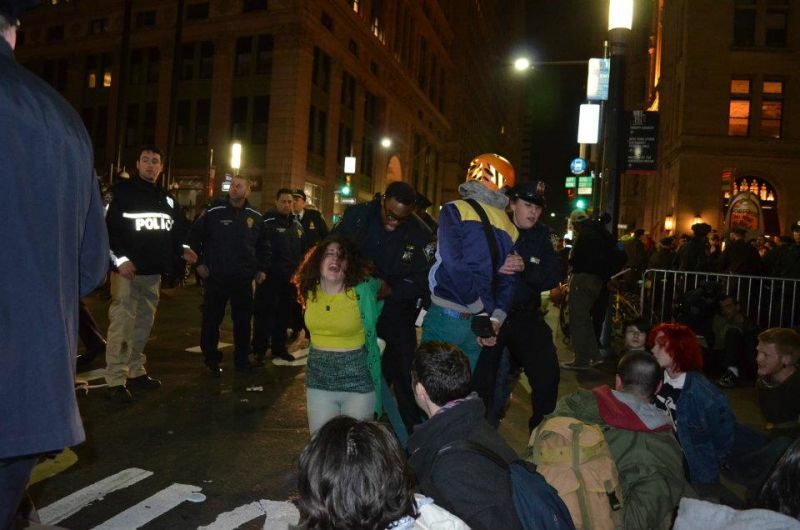 But what happened to her on the night of March 17, 2012, when she was arrested during a raid at Zuccotti park, is very much up for debate. These photographs, provided by an eyewitness, may shed some light. The prosecution argues that McMillan deliberately elbowed an officer in the eye. McMillan's defenders say she only did so after the officer grabbed her breast, and that she has the bruise to prove it. There is a grainy YouTube video of her arrest, but it does not settle the competing interpretations. 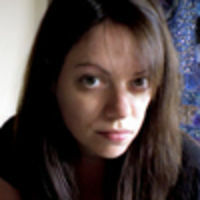 Today we were contacted by Stacy Lanyon, a member of Occupy Wall Street who happened to be there that night. She took photographs, which were introduced as evidence at trial, and which I'm posting below with her permission. A call was made to leave the park. It wasn't the first time I had heard a call like that from the police, but there was something different about it, an ominous energy in the air. I could see the police building up on the east side of the park. I photographed the call close up, and then I photographed the police making their way toward the barricades to enter the park, and they were definitely on the offensive. It seemed like they were ready for a fight. A number of protesters decided to lock arms and sit down in protest of the call to leave. By that time, what appeared to be an army of police officers in formation began to make their way into the park. It was the most frightening thing I've seen first-hand. We were under attack. I attempted to photograph the area where the protesters were locking arms, and a group of officers began to walk toward me and tell me to move back to the west side of the park. I wasn't able to witness what was going on with the people locking arms, but I did hear it. They were the sounds of pain, anger and horror. Once I was pushed to the west side of the park, the police had made a circle around the park with their bodies to prevent people from re-entering the park. I made my way around their circle back to the east side of the park where I saw the group of people who had been arrested handcuffed and in a pen on the sidewalk. Some were face down, some had their clothing torn. I didn't notice Cecily until Officer Bovell attempted to have her stand in order to bring her to the bus. When he tried to lift her, it was clear that she was in distress and was unable to stand. He seemed very irritated with her and continued to grip her arms and try and force her to stand. While he was doing this,she looked like she was in utter pain. Her mouth was open as if she could have have even been shrieking. There is even one photo where here feet are barely touching the ground. He eventually gives up and attempts to get her to sit back down on the sidewalk, and this moment looked even more painful to her. It appeared as if she wasn't even conscious enough to realize what was being done to her and how to move her body in order to find a seat. It then became very chaotic as they started to load all those who had been arrested onto the bus, so I didn't see her getting loaded onto the bus. The next time I saw her was when she was lying in front of the bus having what appeared to be a seizure. 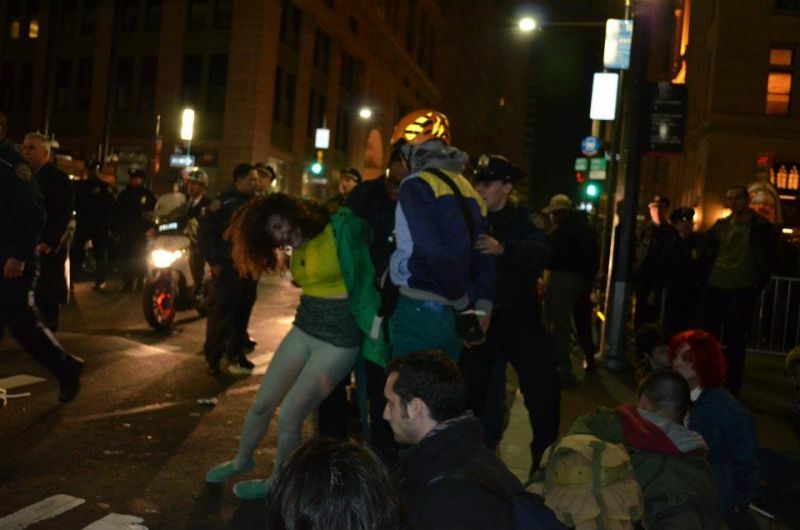 While she was convulsing on the pavement, no one was attending to her, and she was left in her handcuffs for some time. 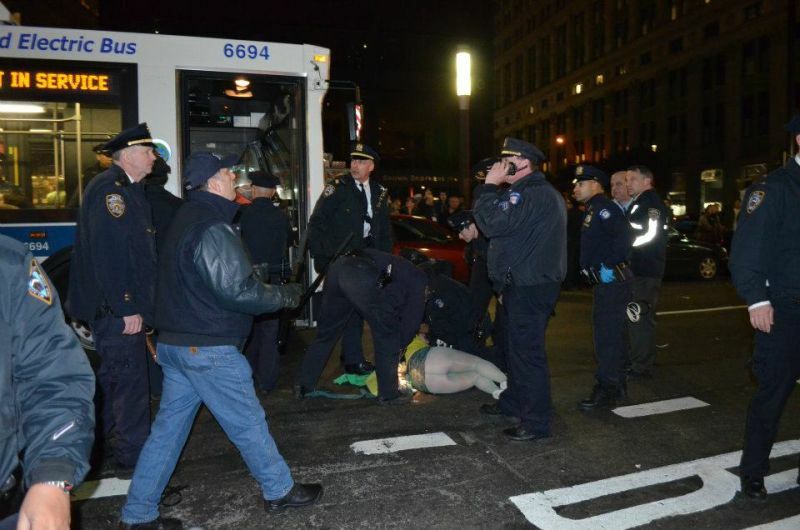 They eventually removed the handcuffs and moved her back to the sidewalk on the east side of the park. When there, I witnessed her coming in and out of consciousness. She'd come up. It appeared as though she was coughing or gasping for air, and then she would pass out onto the pavement again. I remember holding my breath for her whenever she went down. When she was up, you knew she was okay at least for that moment. I remember being very shocked that an ambulance hadn't arrived. It seemed like forever, though I can't say exactly how long had passed since it began. I wasn't able to photograph the ambulance arriving or anything that came after because as we were behind the barricades photographing, an officer came up to us and told us we had to move back. Then, without even giving us a second to do so, he and another officer took the barricade and began to use it to force the crowd back. At the same time, one used his hand to push my shoulders and chest violently. There were a number of people behind me, so I wasn't able to move. I was stuck enduring the the force of the barricade against my stomach as I was squeezed against the people behind me and the violent shoves of the officer. I never had or thought I ever would be brutalized in such a way. Cecily might have thrown her elbow back in reaction to getting grabbed from behind, but I would hardly call that assault. I would call that a natural human reaction to being attacked. The brutality that was imposed on people by the police, on the other hand, was far from natural and very consciously done. 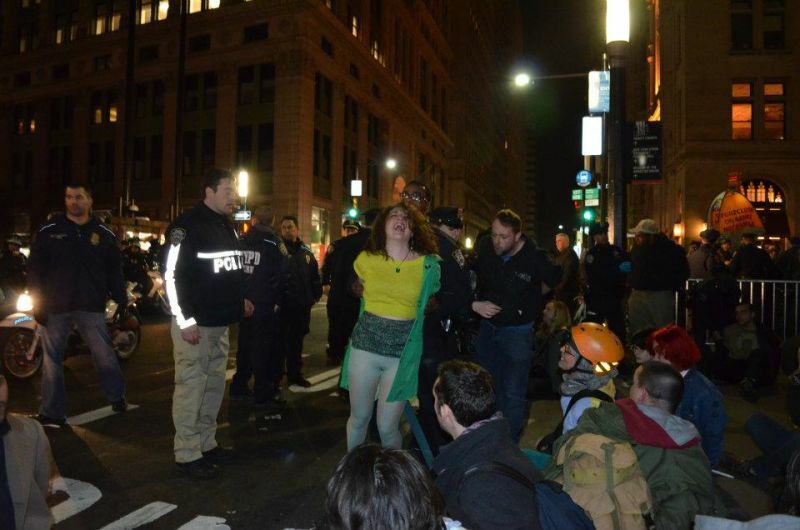 The fact that we live in a society where Cecily is convicted of a felony and imprisoned for her act, while the brutalization of peaceful protesters and journalists by the officers wasn't even called into question should inspire us all into action. I think we should also remember that there is nothing new about this brutality. Minority communities have been, for decades, experiencing this everyday through Stop and Frisk procedures and racial profiling. There is not a week that goes by that I do not see some new video of police brutality somewhere in the country. Sometimes it even costs people their lives. If we really want to live in a just and free society, we have to start demanding accountability for these action and many other injustices that are being played out by out systems everyday. McMillan is set to be sentenced on May 19, and she may face up to 7 years in prison. Her lawyers and supporters have announced an intent to appeal.